Online Sports Championships (OSC) is an online global league for StarCraft II and other games. The league follows a yearly season format, where players earn points for placing highly in all partnered tournaments, along with points acquired through bonuses and challenge matches. These points and player data act to form the OSC World Rankings and seeding system. At the end of the yearly season, the top 50 players ranked via the OSC World Rankings are invited to play in the revered OSC Finals, where we determine our yearly champion! Every player who plays in the finals gets be paid! We have designed a finals format which rewards the players who finish highly in the World Rankings, as they have shown a combination of results and regular participation throughout the year, and deserve rewards for their efforts. Thus seeding and competition for position within the rankings is highly important! Want to help support OSCesports? Give our twitch channel a follow (daily content), or consider subscribing for more rewards! 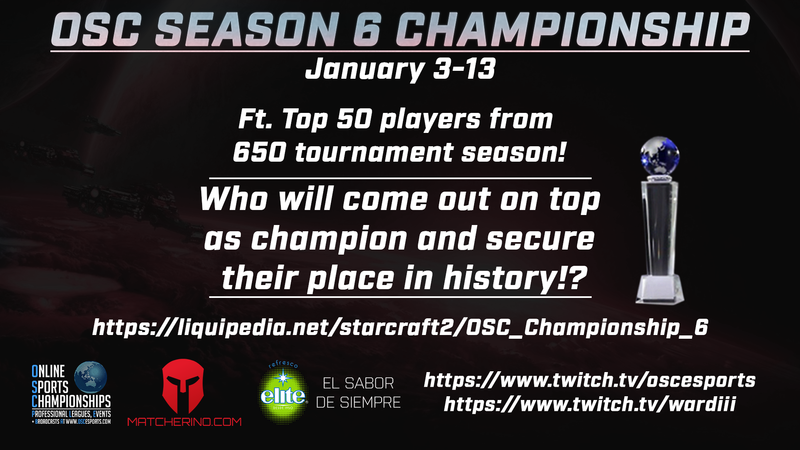 This Championship will be the culmination of our 650 tournament season, and feature the top 50 players who've acquired points from those events! The winner of this finals series will be declared 2018's OSC Champion! Above: Trophy won by yearly Champion! More records can be found at OSC's Hall of Fame page. Also make sure to checkout the cool rewards on offer which can help boost the prizepool of this event! OSC $ Bounties can also be claimed in the Championship! The top 26 highest players from the 2018 season, get seeded into championship bracket. 1-20 Upper Bracket, 21-26th Lower Bracket. 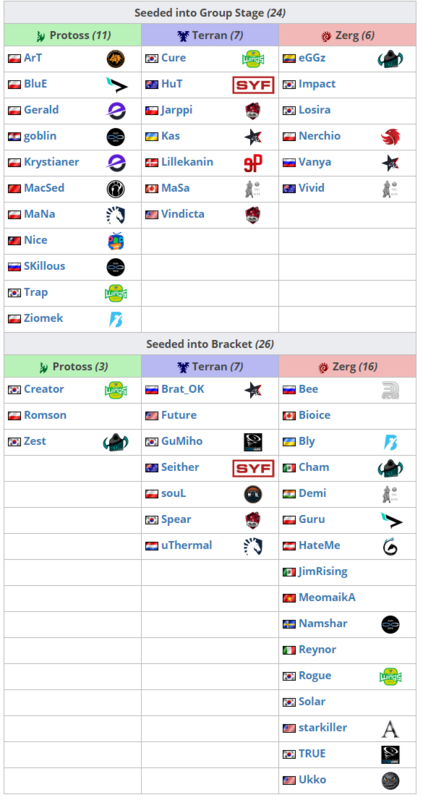 The next 24 players (27-50th), play in 4 6 player SSL/Masters Cup style groups, and the top 12 players post groups are matched up in the playoff stage to determine the 6 best players to join the Championship Bracket. 10 Days of SC2 action! Format is explained in detail and with visuals here. The SC2 Championship format will be changing (expanding in 2019), so be on the lookout for more news regarding that, and other OSC plans coming soon! OSCesports casting talent to be revealed soon. We will have 2 English streams running simultaneously for most of the Championship, so we can cover all games! Streams will be allocated games, so players/casters/fans know the schedule. Non English Community Streams are welcome! Prior casting experience recommended, and only 2 streams per language. If interested, and available to cast at the times indicated, email OSCSC2@gmail.com with an application. Only official tournament streams and casters are allowed to observe/stream matches and must set a 2 minute delay. No first person streams. 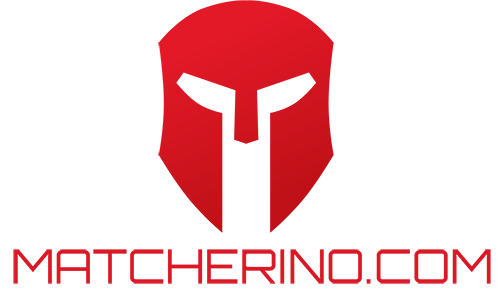 Matcherino is a crowdfunding platform for esports, whose system provides tournament organizers, players and fans with the tools to create great events! Prize pools are sourced for players, generating more opportunities for quality tournaments with recognized professional players. The site also allows organisers to identify, acknowledge and reward those who offer the most support/activity across their events! Twitch accounts are used so fans can easily engage with live events, and players can easily access their winnings! With Matcherino, everybody wins! This event is sponsored by Refrescos Elite, a family owned Mexican soda company. Formed in 1951, Refrescos Elite has grown to become one of the premier soda companies in the Americas, with many popular national and international brands under their umbrella. Their slogan “el sabor de siempre” translates to "always the same”, reflecting both their commitment to using pure cane sugar, rather than synthetic sweeteners, and also their drive to stay true to the family business values and origins. Be sure to give them a like on facebook to stay up to date with great product updates, and as thanks for supporting starcraft! We hope everyone enjoys a delicious Refrescos Elite drink during the tournament, while cheering on their favourite players! The top 50 players from the OSC World Rankings will be invited. Confirmations are underway, and will be confirmed by Dec 31st, where groups + bracket positions will then be revealed. Let's get some predictions going! Reminder: Only 48 hours left to get your top 6 predictions in for a chance to win a SC2 jersey! Great tournament, cant wait for Zest vs Rogue!